We found this tasty salad recipe at 123EasyAsPie. There are many variations of quinoa with fruit, we particularly enjoyed this one in the summer. We added pecans and used fresh mint instead of the parsley. We hope you give it a try and enjoy it as much as we did. 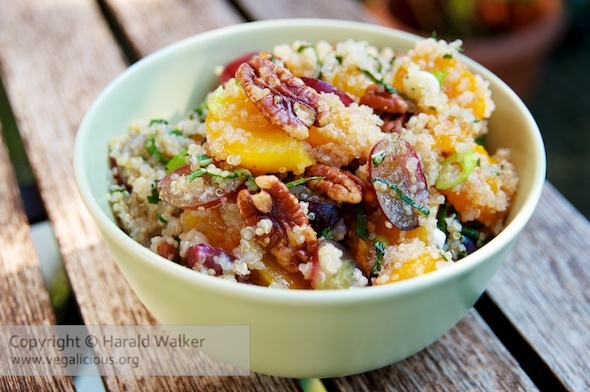 Posted by Chris Walker on July 20, 2011 in Apricot, Grapes, Orange, Pecans, Quinoa, Reviews.